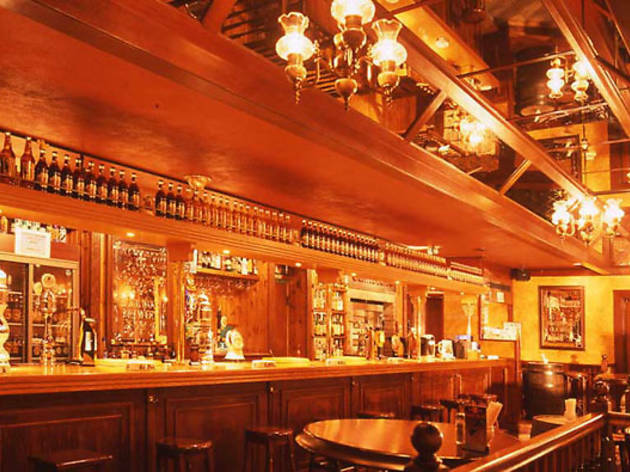 Although it now has branches in Shibuya and Roppongi as well, homely British pub Hobgoblin first landed here in Akasaka around the turn of the millennium and has been going strong ever since. As is to be expected, the grub served here is good, honest bar food like fish and chips, pies and sausages, while salads and the like are also available. The drink menu maintains the same quality level, with Wychwood dark ale and other true English offerings on tap. 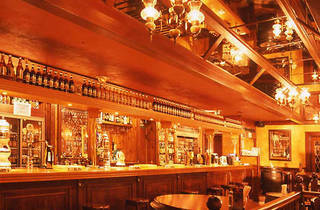 The staff all speak English, and the best sports events are practically always available for viewing.